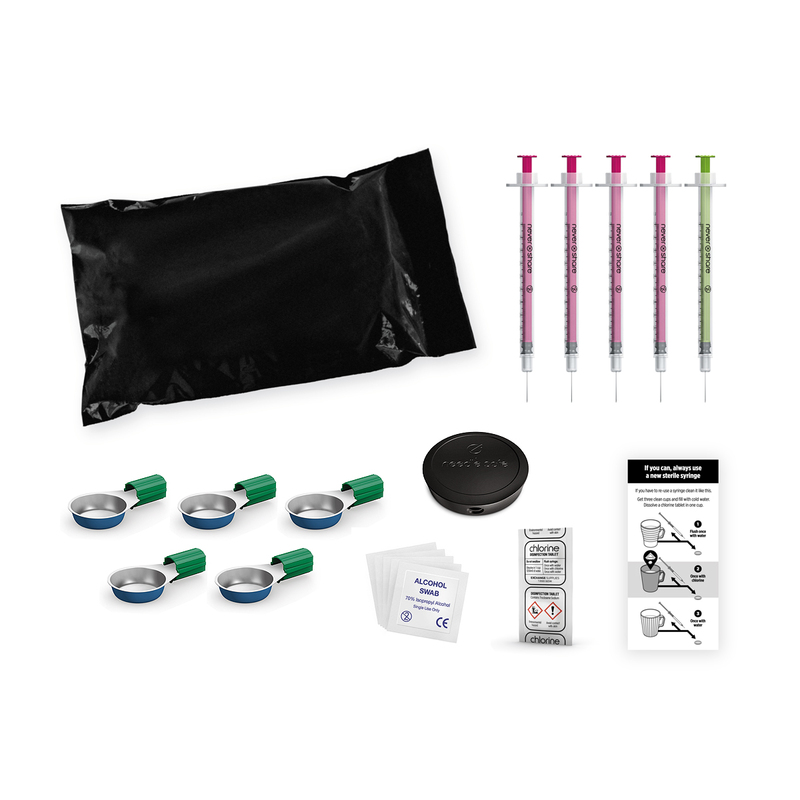 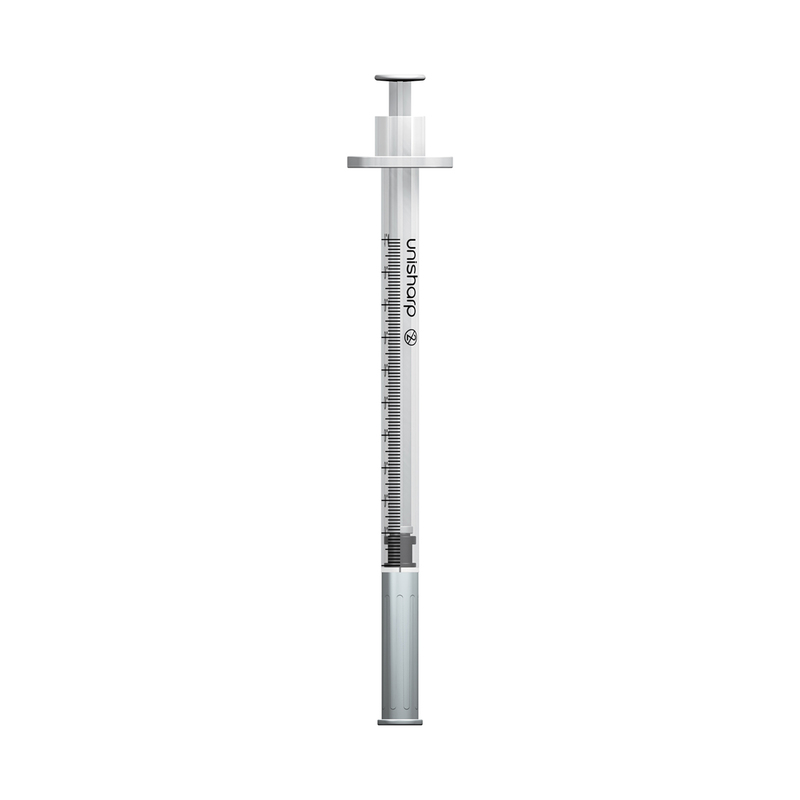 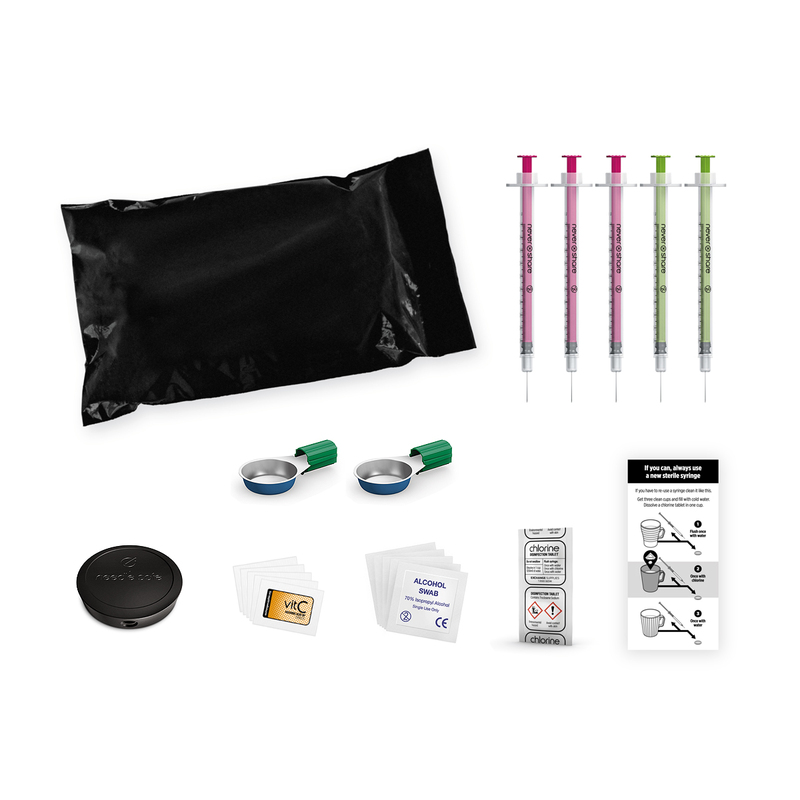 The Unisharp fixed 1ml syringes are now available in 27, 29, and 30 gauge needle thickness. 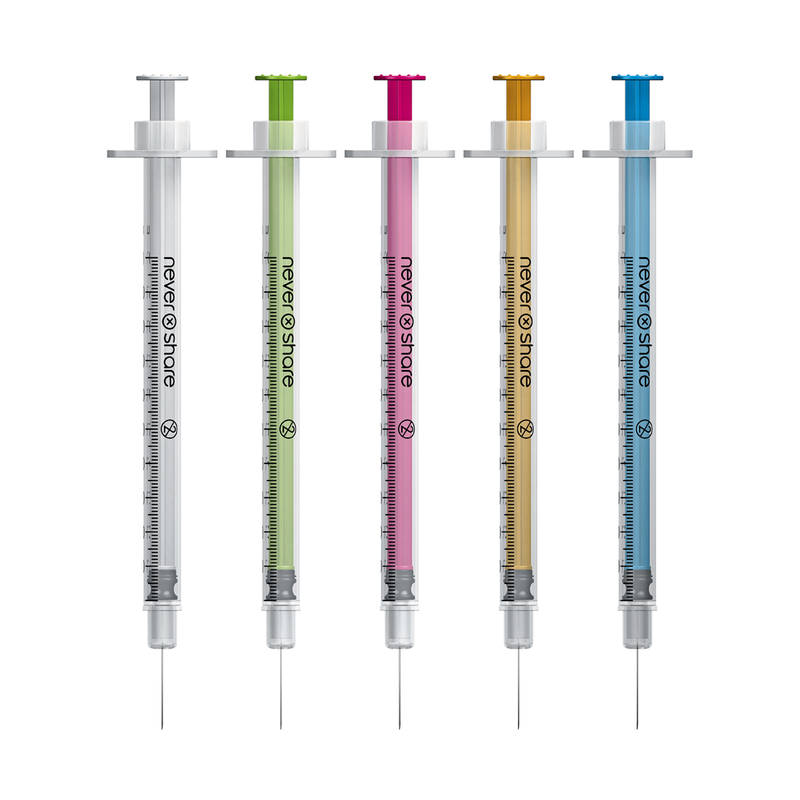 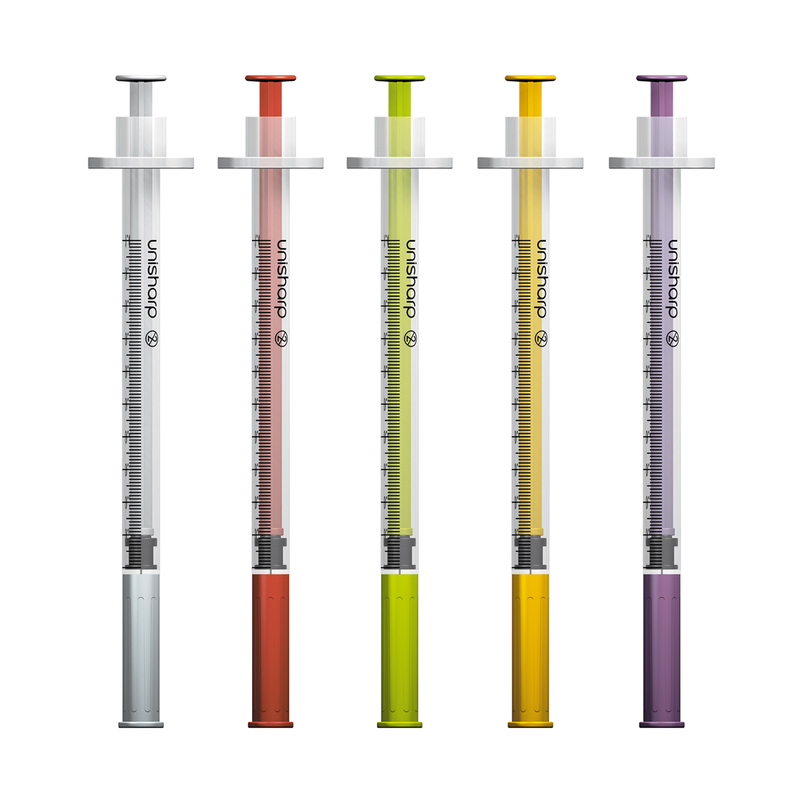 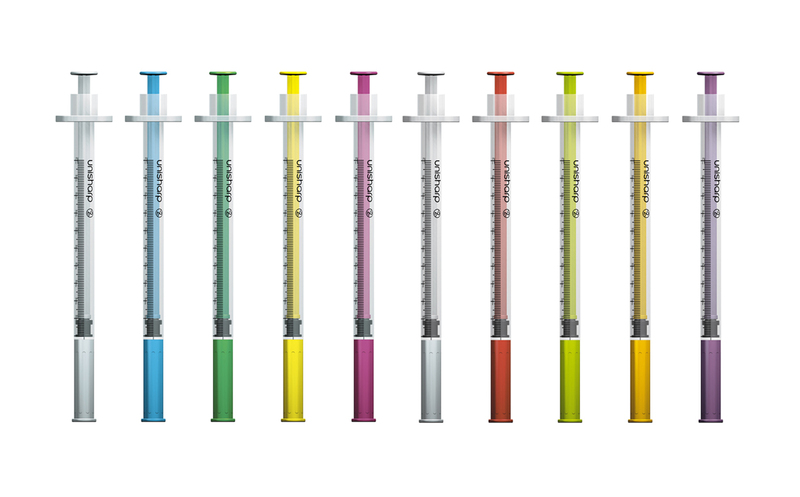 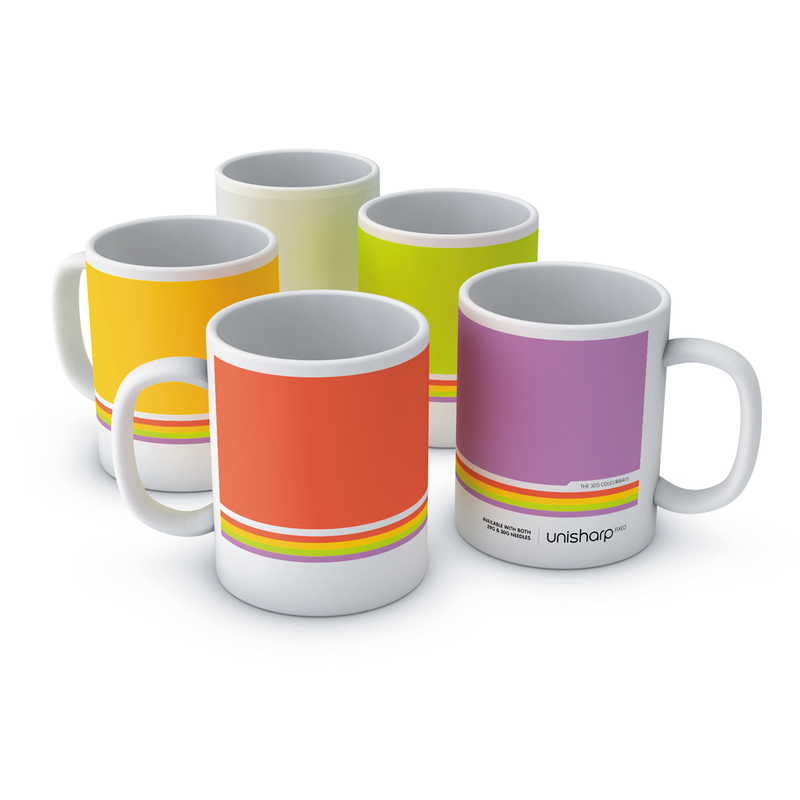 The 29G and 30G Unisharp 1ml fixed needle syringe has plungers in a range of 5 colours to prevent accidental sharing. 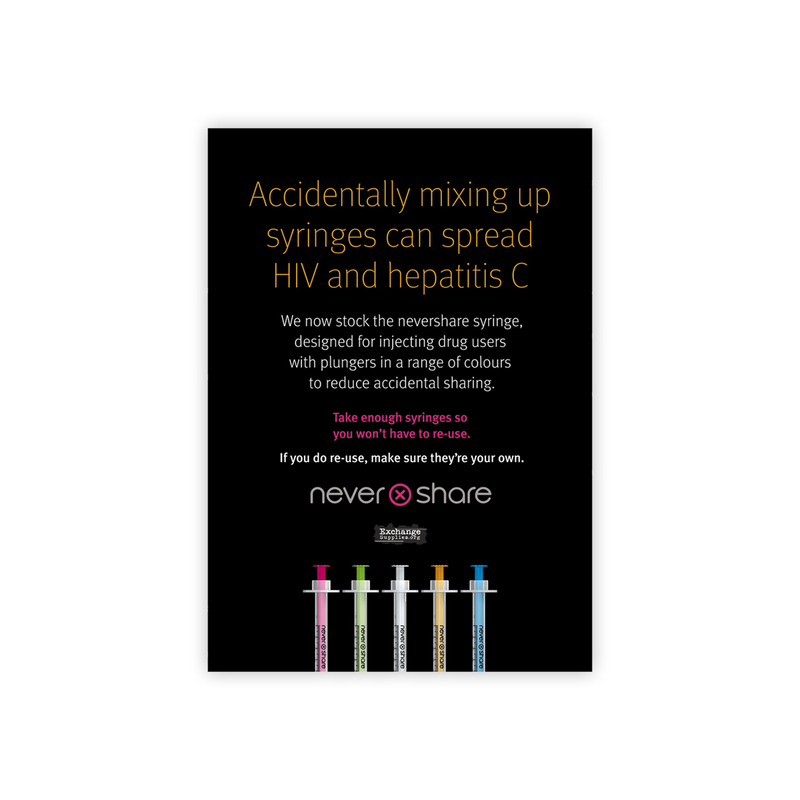 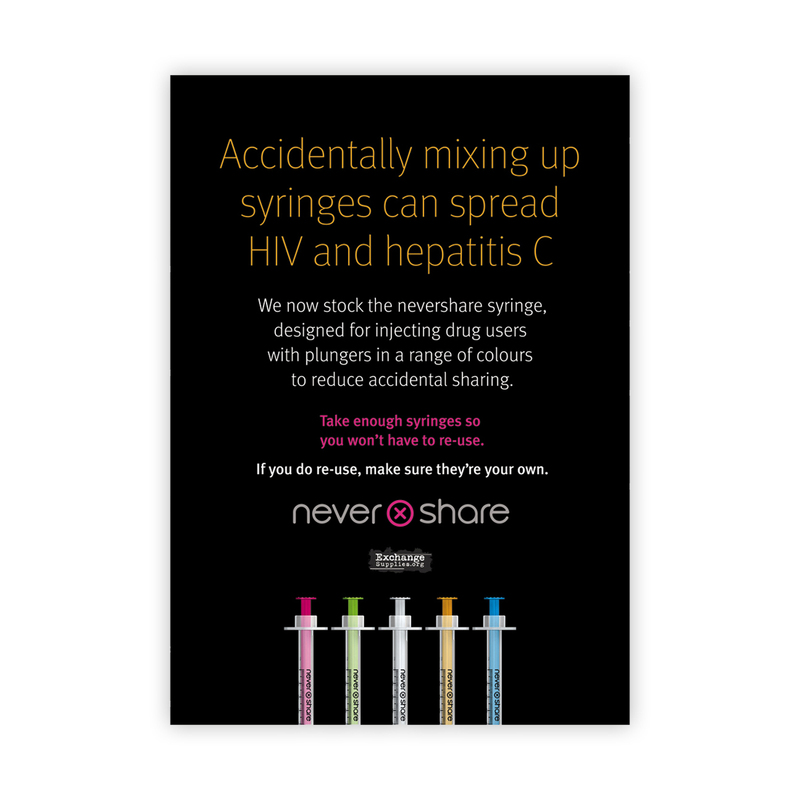 We also have the Nevershare 1ml Fixed needle syringes in stock and available (scroll down to find them). 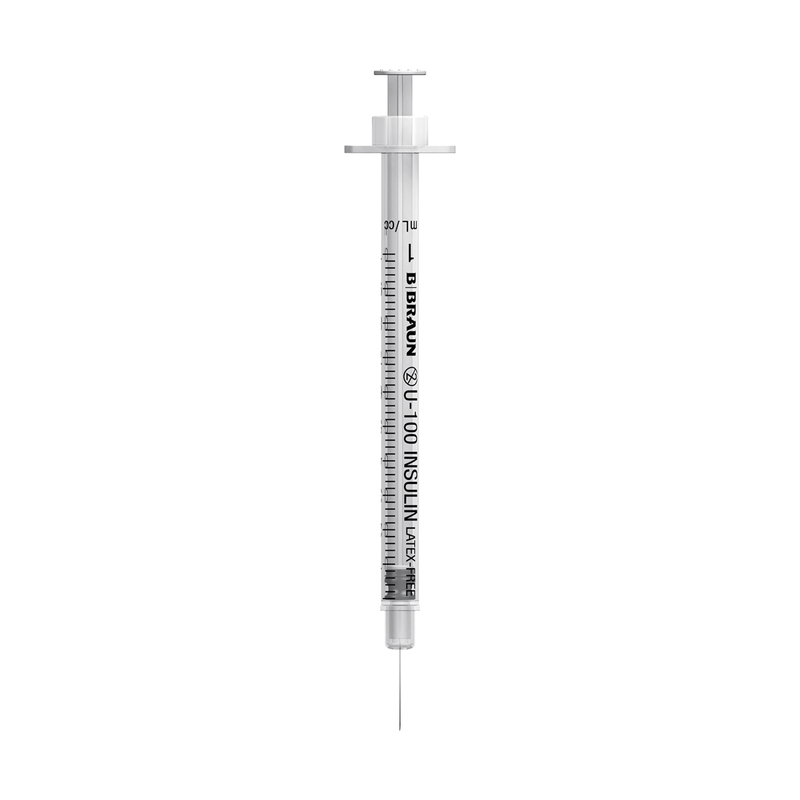 The 1ml fixed needle syringe is used for injecting both psychoactive drugs like heroin and cocaine, as well as hormones (and other water-based medicines), such as human growth hormone (HGH).